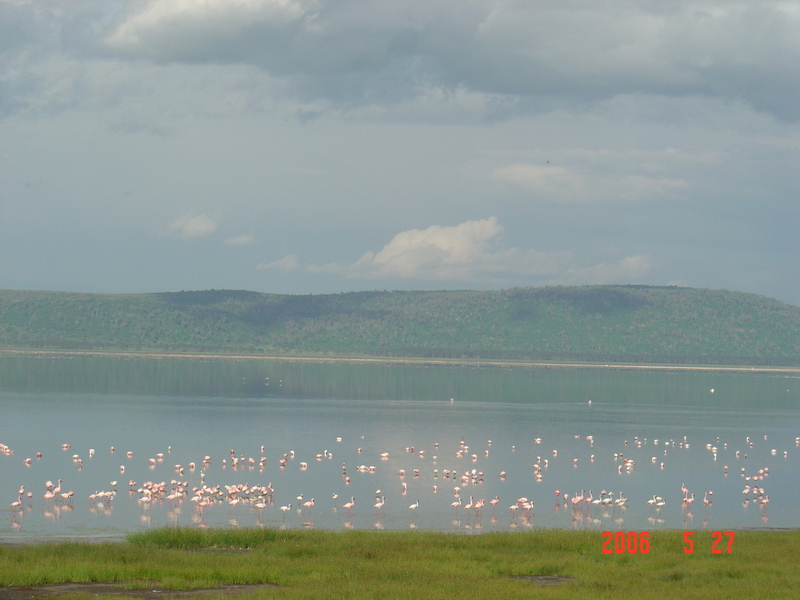 Today we are headed to the land of a thousand flamingos, Lake Nakuru, in Kenya’s Rift Valley. 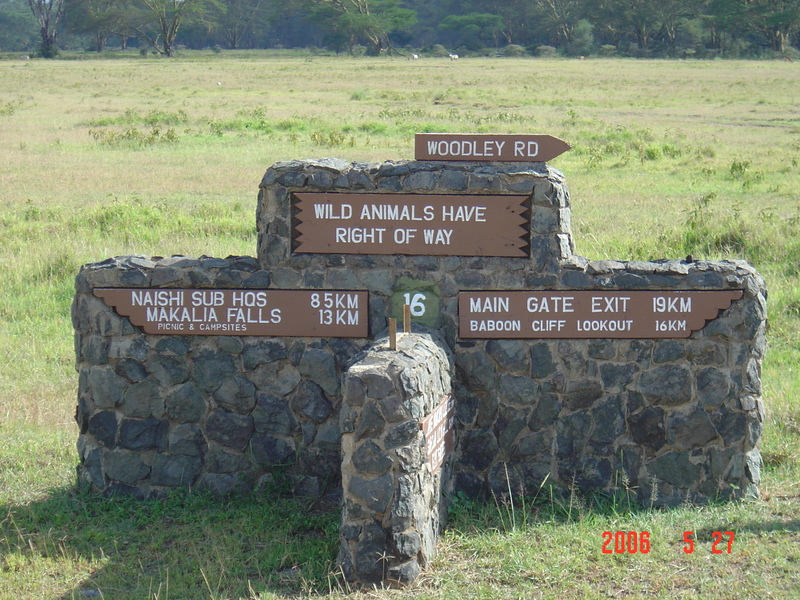 It is one of the smallest reserves I visited in Kenya, but it is truly unique. 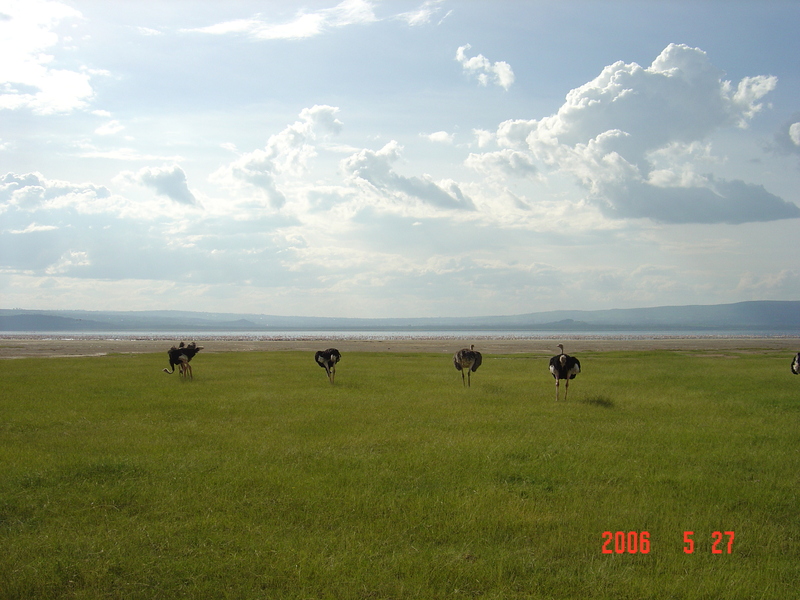 The park is anchored in the center by Lake Nakuru. 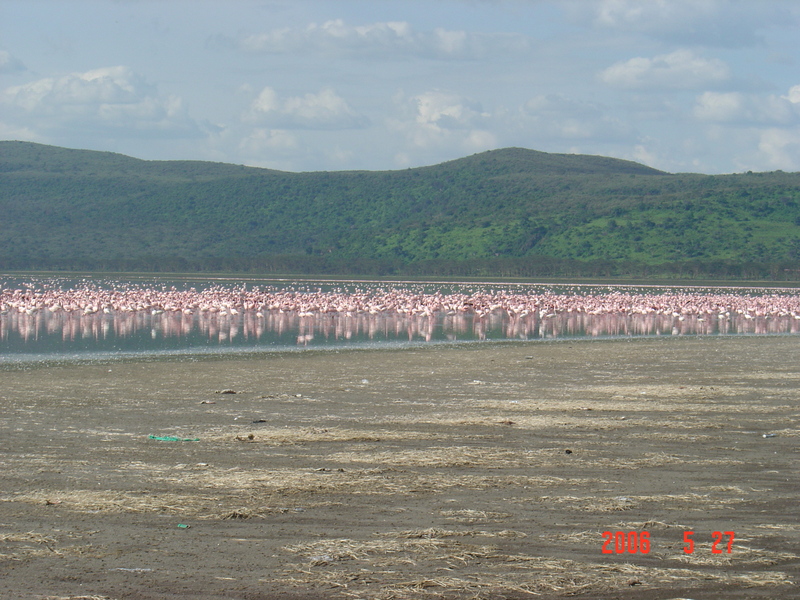 The lake’s high concentration of algae attracts thousands of flamingos and other bird life, painting the shoreline pink. 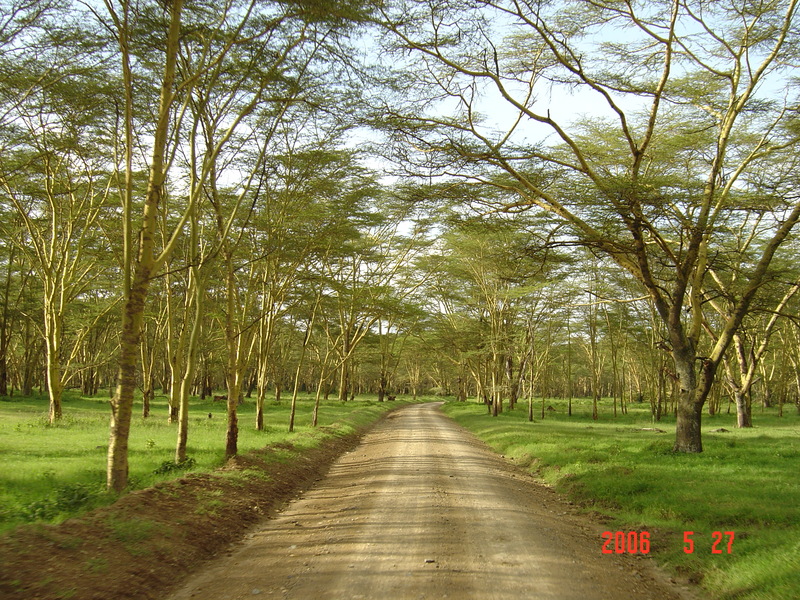 You won’t see elephants and lions around the lake, but the baboons are fun company and the tunnels of acacia trees are enchanting. I’m off to frolic away with the flamingos, until we meet again next Friday. 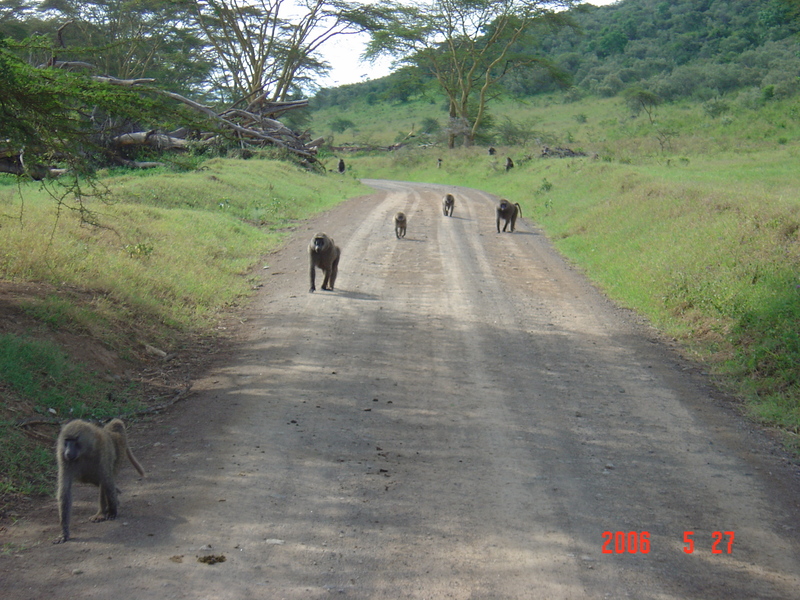 Of course, animals have the right of way! 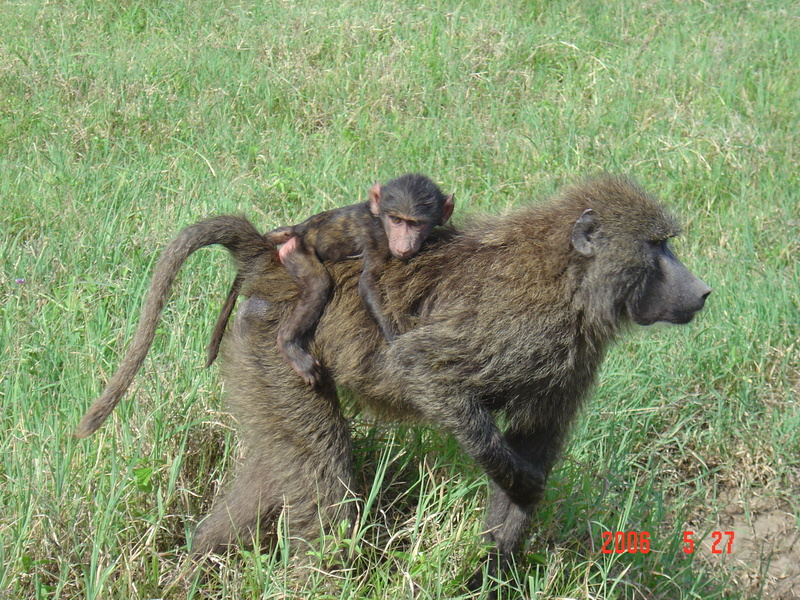 All photos in this post were taken by me in May 2006. Thanks! When I look at them all the memories come flooding back and I wish I were there.